Learning has been (and should be about) authenticity. Students should have the opportunities to investigate, discover, research, examine, etc, content that is meaningful to them; learning they can make a connection too. The influx of digital devices as definitely made bringing more authenticity into content easier. Students have access to all known knowledge at their finger tips. But we still face challenges. How do we organize that information? How do we best share it with peers? How can we invite parents to see the work that has been done? As a teacher, how do I keep track of it all? Adam Bellow of EduClipper fame is back with a new iPad app that allows teachers and students to organize those authentic assignments more easily and share resources across devices. WeLearnedIt allows teachers and students to create digital portfolios of work. For teachers, they can create multi-layered activities that allow you to pull content in from a variety of places like the web, a built in-whiteboarding tool, Dropbox or Google Drive. Students then pick up that assignment through their device and complete it. For them, they can bring in content from a variety of places also, adding to the idea that learning comes in many of forms. When assignments are turned in teachers can do all the grading in the app and share feedback with the students all in one place. No need to fuss with papers home or lugging boxes of projects. Grab your iPad and get to it! There are loads of free features but you can take it to the next level through paid school or district accounts that allow you to add rubrics and share data with other teachers, administrators and parents. You can tell Adam wanted to create something that would really relieve the problems that come with trying to organize and present with digital materials. And I think he's got a great app here. There is so much more you can learn about WeLearnedIt. Check out the webinar coming up on Sept 4. In an effort to make sure all those that take part in #edchat each week have the most up-to-date information on chat times, topics and special events, we have teamed up with Remind to get you that info lickidy-split! Don't know what Remind is? 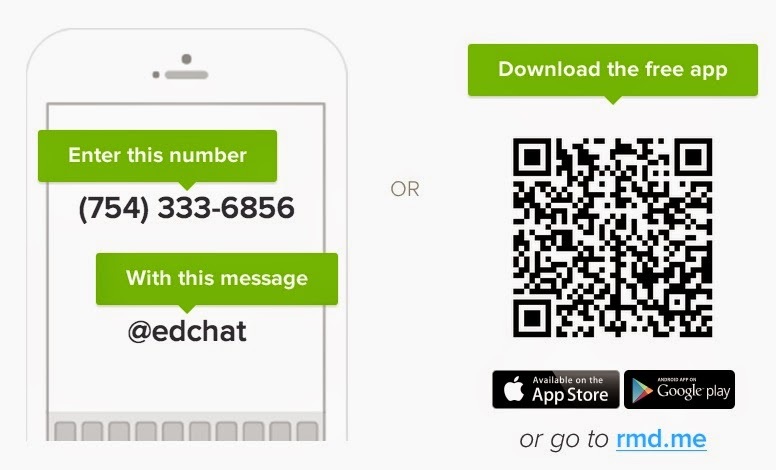 Remind is a reminder and texting service for classrooms. As a teacher you set up a class and invite your students and parents to join. The best part is you don't exchange any personal numbers. You create a special join code that is used to join your class. Once joined, you can send messages, reminders, and more that can be retieved through the Remind App or via text message or email. It's a really simple way to keep parents and students informed as to what is happening in class. You can check out my post on it too. So how do you join? There are 3 ways so you can pick the one that is right for you. 1) You can join by text message (1) or use the app (2). 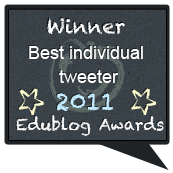 Or you can visit http://remind.com/join/edchat (3). You can download the instructions here too, if you need them. 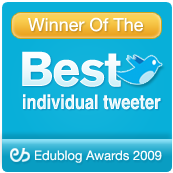 We hope you'll take advantage of this service to stay in the loop on everything #edchat! If I've said it once, I've said it quite a few times, blogging is an open reflection of learning and is a wonderful (and easy) way to share our learning. I have been blogging in this space for over 5 years now. I have over 500 posts and have shared a bunch. I couldn't imagine my professional life without my blog. Recently, I've been wanting to share more and more. But I faced a quandary. I wanted to share just little bits of information with a little detail. Just one or two things that didn't need much depth but that just didn't fit in this space because that isn't the focus here either because of a specific timeframe or for some other reason. I have so much rich information I am curating and I want to share it but I need the right way to do it. Well Steven, Twitter would be a great use for that. And frankly you are already doing that there. Well Self, you are correct. But I am limited with Twitter. 140 characters doesn't leave me much room for the kind of depth I was seeking. And now I have a new obsession. Postachio is dead simple blogging and publishing. Don't believe me? Watch. In its essence, it's a hook for your Evernote account that allows you to post by simply tagging a note in a specific notebook with a Published tag. That's it. No fuss, no mess. Y'all know how much I love Evernote. (If you don't you should read my posts.) So for me this made so much sense. I am curating so much in my Evernote already. And using some IFTTT recipes (you can read about those too) I am saving a bunch there. So now I have an easy way to share that. I move notes into my Postachio specific notebook, edit them, then just add a Published tag. Thats it! And you can take advantage of Evernote's powerful tools like the web clipper and Skitch to really create amazing and simple posts. And because Evernote lives on all your devices (at least it should), you can publish from virtually anywhere. So for me, this solution was perfect! I finally have a way to get those short, individual thoughts out of my Evernote and share them with the world. This would be incredible for schools! Think about it. Evernote has so many wonderful portfolio features like audio notes and inserting documents and PDFs right into notes. So for students to create portfolios there makes a whole bunch of sense. Now hook that portfolio notebook to Postachio and you have a wonderful, shareable, public representation of student work. It really can give kids a simple way to have a global audience for their work. And not just kids. I advocate for School Leaders, Administrators and Teachers to use Evernote for professional growth portfolios. Now with Postachio those can be easy, public representations of learning. For me, Postachio won't at all replace this space. It's the additional space I was seeking for so long. But for some, Postachio could be a great place to start the blogging process because of its integration with Evernote and all the rich features there. Oh, did I mention both Evernote and Postachio are free? You can check out my new Postachio site at http://postachio.web20classroom.org to see what I am curating. And be sure to check out the Postachio blog. They have a great series on #PostachioEd, using the platform in a variety of ways in the classroom. From The Shameless Promotion Department, I am proud today that I become a published author. My book, The Relevant Educator ships today. Below is a post (thanks to the most awesome Mark Barnes) about the entire Connected Educator Series from Corwin. Ask any of the thousands of teachers who regularly use Twitter, Pinterest, or Facebook about connected education, and you may get an earful about using digital tools as a means to connect with educators and students worldwide. But if you ask teachers who have never used a social network, blog, or mobile device for learning in their classrooms to discuss connected education, you are likely to be met with blank stares, furrowed eyebrows and shrugged shoulders. Enter Corwin Press and the Connected Educators Series. In an effort to connect all teachers, EdWeek author and Corwin editor Peter DeWitt enlisted the help of his professional learning network (PLN) in order to launch a series of books on digital learning, digital leadership, mobile learning, digital citizenship, and everything else that is connected education. Series Editor Peter DeWitt, says, "It is our hope and intent to meet you where you are in your digital journey, and elevate you as educators to the next level." Corwin's Connected Educators Series features short books, about 70 pages, in both paperback and electronic formats, aimed at helping educators improve classroom practice and educational leadership in the digital world, something that has been sorely missing in the education book world. The first books in the series will be published in August and September. Below are all the books, so far in the series with a short description of each. 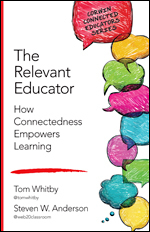 The Relevant Educator: How Connectedness Empowers Learning, by Tom Whitby and Steven Anderson (Hey, thats me! ): Two of the profession's most connected educators explain how to effectively use social media to build a professional learning network. Flipped Leadership Doesn't Mean Reinventing the Wheel, by Peter DeWitt: If we can flip the classroom, why can't we flip faculty meetings and other kinds of communication with parents and teachers? According to DeWitt, we can. The Edcamp Model: Powering Up Professional Learning, by The Edcamp Foundation: Professional development has never been so simple than when teachers create it. The Edcamp model connects educators to PD like never before. Teaching the iStudent: A Quick Guide to Using Mobile Devices and Social Media in the K-12 Classroom, by Mark Barnes: Knowledge is in the palm of learners' hands, making them iStudents. This book helps teachers understand how to maximize this incredible power. Connected Leadership: It's Just a Click Away, by Spike Cook: In the 21st-century, it's critical that principals create a transparent school for all stakeholders. Principal Cook shows school leaders how to author blogs, PLNs and more, in order to open up a digital window to your school for parents and community. All Hands on Deck: Tools for Connecting Educators, Parents, and Communities, by Brad Currie: The connected educator doesn't just connect with students and colleagues. She connects with parents and community, using 21st-century tools. Currie shows readers how this is done. Empowered Schools, Empowered Students: Creating Connected and Invested Learners, by Pernille Ripp: Connecting also means empowering. Ripp shares a variety of methods for teachers and school leaders to empower colleagues and students to help each other build a strong learning community. The Power of Branding: Telling Your School's Story, by Tony Sinanis and Joseph Sanfelippo: Connected educators must teach students about digital citizenship, and what better way to teach this lesson, according to administrators Sinanis and Sanfelippo, than by showing students how to brand their own schools? These eight books are the first in Corwin's ongoing Connected Educators Series. Several more are currently in production and scheduled for publication in early 2015. For updates, author biographies and other valuable information, visit the Corwin Connected Educators Series website here. You can order Any books in the Connected Educators Series here. Let us know what you think and what you'd like to see next. 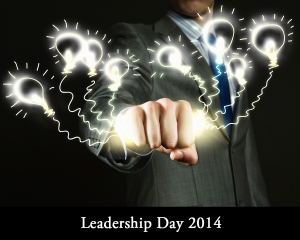 Today is Leadership Day 2014. Started by Scott McLeod, the day encourages all of us to blog about leadership and leading change in schools. This is my 6th year I've contributed to the day. By the end there will be 100's of posts you'll be able to read, reflect on and share. Definitely check out the list and add your post as well. When I was in the classroom I always looked forward to back-to-school. Getting my classroom ready, that feeling of the excitement for a new year left me with the anticipation for great things to happen. Leaders should have those same feelings. Opportunities for change and growth are around every corner. But how can you get the new school year going on the right foot and keep that momentum going throughout the year? Establish Relationships-Getting to know my students was the first thing I did every year I taught. There was always that pressure to get starting with the content but I found that if I made connections with my students, I could more easily teach them. I understood who they were, their passions, and their interests. Take the first few days to learn who your students are. The time taken will pay off in the end. School leaders should do the same not only for their staffs but for their students as well. Kids should feel a connections to all the adults in the building so take the time to establish those relationships all around. Setting Goals-As an educator it’s important to reflect on the previous years, the high points and the low points. Use those reflections to build personal and professional goals for the new year. Maybe you want to learn a new technology skill or challenge yourself to grade differently. Whatever your goals, make them actionable and reachable. You should have not only goals for your school and your teachers but personal growth goals. And these are most important. How will you be better than you were last year? How can you improve as a professional? Set aside the time for yourself to reflect on what its you want to accomplish and how you will get there. Celebrate The Good Things-For some educators the thought of inviting parents into the classroom is a terrifying one. Parents want to be involved in the classroom and our schools. And we all know they should be. Make contact with parents as early as you can. Make the school an inviting place and encourage parents and the rest of the community to become involved with your school. Utlize those social media tools to become a PR Machine, sharing the best things that are happening with teachers and, most importantly, students. With email and texting services like Remind, it’s even easier to make those connections even faster. Starting off with the positive makes having to discuss the tough points easier because you’ve established that relationship and dialogue in a positive way first, rather than a negative one. School leaders are not only managers, they are instructional leaders, cheerleaders, PR champions, and so much more. The role is definitely complex but rewarding. These are just a few of the things you can do. What else would you add? Leave your comments below. Several months ago I was having a conversation with a colleague about creativity in learning. We debated back and forth about what creativity looked like and could you really teach creativity. All this stemmed from a comment I made about me not being creative. Sure, I’ve written books, I talk in front of teachers a lot and create professional development to deliver. But does that mean I am creative? As educators, when it comes to creativity in the classroom, there are 2 things we can do. We can take the path of least resistance and take creativity out of the learning process. Or we can create an environment that fosters creativity in learning and allow kids to explore their talents. Fostering creativity in learning in the classroom doesn’t have to be complex or complicated. It can be as easy as moving desks around or giving students options for their learning. Here are 5 ways you can foster creativity in your classroom this school year. Make A Change In The Layout-Something simple like a change in the way a classroom is set up can spur creativity and innovation. If you are like me, you can think back to when you were in school and remember what your classrooms looked like. Teachers would take some time and make the bulletin boards nice, hang motivational posters on the walls, perhaps include a classroom library. But even with all that, the desks were set up the same. Equal number of rows, straight from the front to the back. Having desks in rows offers a fair amount of control over the learning environment but when we want to have students engage in creative thinking, rarely does that come in rows or even in desks. Being a science teacher I could have lab tables and that helped promote collaboration and brainstorming. If you can swap out your furniture for tables and chairs on wheels or are easy to move do it! If you are stuck with individual desks, allow students to move them around and huddle up. You can also create individual environments like a reading or art corner without busting your budget. A little change in how the classroom is organized can go a long way. Utilize Technology-I believe by now, we understand the power that technology can have in the learning process. Embracing technology and all it can do certainly can help students discover just how creative they can be. Instead of writing essays that live just on the teachers’ desk, write blog posts for the world to see. Instead of creating art projects that hang on the walls of the school, post them to the school webpage or a Tumblr or create a Twitter account to share them. I believe a large part of the creativity process is sharing. What if Shakespeare or Mozart or Michaelangelo hadn’t shared their works. Technology allows for simple and easy ways to express and share the work that students are doing and creating. Embrace Authentic-Based Learning-No matter if you call it problem-based learning or project-based learning, Socratic Method or the 5E Model, when you can bring authenticity into learning you can bring an element of creativity as well. Authenticity in learning brings those abstract, real-world situations to a level where our students can use their creative thinking deconstruct problems and use their creative process to find innovative solutions. Student Choice Is Key-Building off the use of authentic based learning, when you give students to the freedom to explore and create their own meaningful solutions, you are allowing them to explore their own creativity. Instead of outlining specific requirements for students to complete a project, allow them build/make/paint/compose/program/record their own solutions. Provide Time For Reflection And Feedback-What might be the most important part of the creative process, reflection and feedback need to be a valued part of any classroom. I remember pouring my heart and soul into projects when I was in school, only to get back a grade. No explanation, no feedback. Part of all of us becoming better at the things we want to be better at needs to involve some level of feedback and personal reflection. Provide time for students to talk to each other about their work and their thinking and make teacher and student conferencing a priority in your classroom. 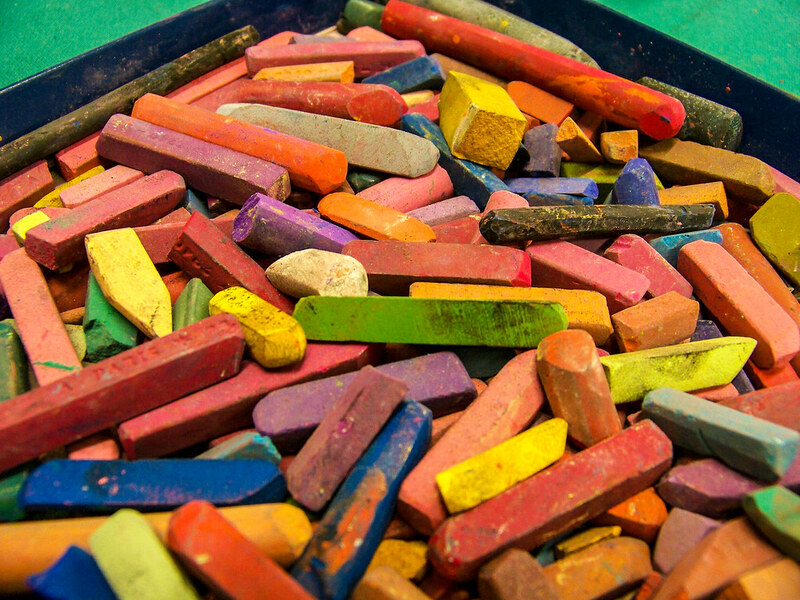 Infusing creativity in the classroom doesn’t have to be a complex proceed. Whether you do a complete classroom redesign or look to authentic-based learning or make a point to spend more time reflecting with your students, you are modeling that creativity and creative thinking are an important part of learning and showing students that their creative voices matter.